In Forestry news: virtual reality is being use to engender empathy for old growth forests in BC; an off-duty border agent is fined for causing a wildfire in Arizona; forest carbon offsets are opposed in Oregon; and Montana’s forests could adapt to pine beetles if we let them. 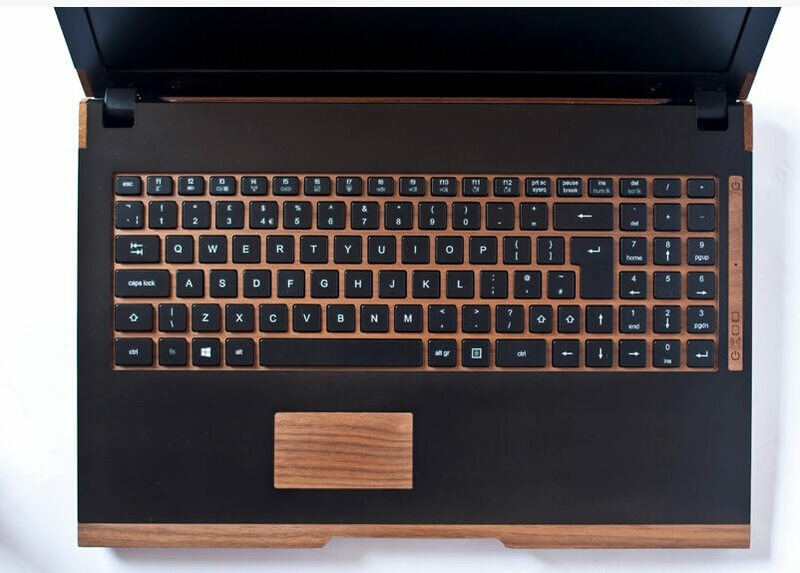 Finally, a wooden laptop made from recycled wood and paper will last three times longer and patina with age! In a perfect world, President Donald Trump would be busy running a victory lap on trade while his staff quietly took down a few of his tariffs. …In this case, we are particularly bothered by the tariffs the president is leaving in place on Canada. Now, we aren’t all that interested in the Canadian economy, except: …When Canadian products that Americans want to buy are arbitrarily jacked up in price, we are all made all the worse off. In this case, it’s Texas that is made worse off. By some estimates, (the NAHB) the cost of a new home is approximately $9,000 more today than it would be if we dropped our silly tariffs on Canadian lumber. …So how about it, Mr. President? Why not drop the tariffs on our North American friends? Thirty years ago, I was a harsh critic of Brian Mulroney’s poorly negotiated NAFTA. …So, what should we make of the newly minted United States-Mexico-Canada Agreement of 2018? …There is no getting around it: the agricultural opening will be painful for our farmers. …Moreover, there is a great deal of uncertainty around the awkwardly conceived 16-year sunset clause and the so-called “non-market country” — China for example — termination language. There are potential gains for Canada too… the real coup was Canada’s salvaging of the Chapter 19 dispute-settlement mechanism. …And, by the way, it is dreaming in Technicolour to think that the Trump White House, or the powerful U.S. lumber lobby, was going to settle the long-standing softwood lumber dispute to our satisfaction. That was never going to happen. OTTAWA — Was Canada’s pursuit of a “progressive” trade agenda a help or a hindrance during the marathon negotiations with the U.S. and Mexico on a new continental free trade pact? According to Conservative Leader Andrew Scheer, it was little more than “politically correct posturing” that served only to weaken Canada’s negotiating position. But according to Foreign Affairs Minister Chrystia Freeland, it was a strategy that paid off with “a very progressive trade agreement” aimed at ensuring the benefits of trade-fuelled economic growth are more equitably shared among citizens in the three countries. …In the environmental chapter, the three countries commit to maintain high levels of environmental protection, including obligations to combat illegal wildlife trade and illegal logging and fishing, conserve species at risk, and take measures to protect the ozone layer and address marine pollution. Thinking about remodeling your home? …Then get ready to dig deeper into your wallet as the Trump tariffs begin to flow… They range from iron nails to flooring to granite countertops, tiles, sinks, roofing, cement, paints, cabinets, wooden and steel doors, windows, lighting, appliances, and much more. …New estimates from the NAHB indicate that of the 6,000 items on the list of goods imported from China that are now subject to tariffs, 463 are “ubiquitous” in home construction and remodeling. …The Canadian wood tariffs are especially troublesome for remodelings that involve extensive framing and carpentry work. They’re already adding $2,000 to the price of a typical new home, Logan said. Kitchen cabinet prices have undergone multiple increases in recent months. Millholland said they are already adding “significant” bumps to the prices of custom cabinetry. JACK GARDNER, Log purchaser/Custom cutter, Teal-Jones, Surrey, B.C. JASON CASEY, Forest inventory manager, Elmsdale Lumber Company, Elmsdale, N.S. CARMEN AUGUSTINE, Forestry superintendent, Canfor, Mackenzie, B.C. KRIS HAYMAN, President, C&C Resources Inc., Quesnel, B.C. SETH DICKINSON, Owner, Dickinson Logging, Hinton, Alta. KARIE BERNECHE, VP and sales manager, Cardinal Equipment/Sawquip, Angliers, Que. PHILIPPE MORISETTE, Manager, Forélie, La Tuque, Que. PRINCE GEORGE – About two thousand forestry workers in the region will be in a legal strike position at 8 a.m. Saturday after 72-hour strike notice was issued by the Steelworkers, Local 2017, this morning. 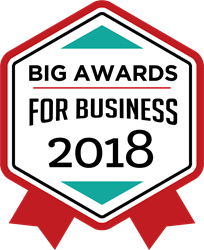 The mills in questions are Babine Forest Products, Canfor in Houston, Fort St. John, Isle Pierre and Prince George Conifex in Fort St. James and Mackenzie, Dunkley Lumber, Lakeland Mills, Tolko’s Lakeview, Quest Wood and Soda Creek mills and West Fraser’s Williams Lake Planer Mill. The union says the bargaining unit for the mills, Conifer, is still asking for concession in time of record-breaking lumber prices and profits. President Donald Trump and Canadian Prime Minister Justin Trudeau announced that Canada had signed on to a revamped trade deal. …The most prominent change is a “sunset clause,” which means that USMCA must be renegotiated in 16 years or it expires, with a six-year review in the interim. …There are two main policy areas of difference, both of which affect workers in Ohio: agriculture and the automotive industry. Given that inter-North American trade accounts for at least 6 percent of Ohio’s gross domestic product, it is an important component of our local economy. In agriculture, the most significant change is greater American access to Canada’s long-protected dairy market. This is a major concession on the part of Trudeau’s government, but it was negotiated as a means of protecting the Canadian softwood lumber industry — long a special interest of Ottawa. Valmet has signed a letter of award (LoA) with ARAUCO to supply key pulp mill technology including pulp drying and baling, a recovery boiler and a biomass boiler. This LoA is part of ARAUCO’s MAPA project, a major investment to expand current production capacity and build a new pulp production line at the Arauco Mill located in the Bio Bío Region in Chile. The value of the anticipated delivery will not be disclosed. However, a project of this size and scope is typically valued at EUR 250-300 million. The order is expected to be included in Valmet’s fourth quarter 2018 orders received. “With this project ARAUCO continues our long cooperation in the area of boilers and pulp drying. Our cooperation extends over 15 years of successful project deliveries,” says Bertel Karlstedt, Business Line President, Pulp and Energy from Valmet. There’s a magical new building being constructed in the False Creek Flats, and we finally know what foodie purveyor will be going into it. One of Vancouver’s most popular coffee spots, Nemesis Coffee, will be taking over the 2,000-sq-ft space (which is still under construction) and its team is aiming to have it open by August/September 2019. The building’s form and massing takes inspiration from overlapping flower petals, according to local architectural firm Perkins + Will. The structure is comprised of prefabricated curved nail laminated timber panels, which required computational design and advanced fabrication techniques to achieve its smooth curved interior finish. Quadrangle Architects mix old wood tech with new high tech. In much of North America, cities are full of post-and-beam structures with mill decking floors. …They also are in such demand that cities like Toronto have run out of them. …that’s why Hullmark’s Jeff Hull is building a new one, 80 Atlantic, the first in the city since the building codes changed to allow six storeys of wood construction. Hull calls it “a new typology of brick and beam combined with modern high tech.” …Today, it’s called Nail Laminated Timber (NLT) …Cross-laminated timber (CLT) gets all of the buzz in the press and has its virtues … but NLT and its cousin Dowel-Laminated Timber (DLT) have their own advantages; it’s cheaper, there are no glues, it can be made anywhere and it has been in the building codes since they were written. High on a hill alongside U.S. 285, blanketed in shade, is the Compassionate Dharma Cloud Monastery. …the monastery is currently undergoing quite a bit of change. …the Morrison monastery will soon be home to a brand new meditation hall. …When complete, the nearly $5 million project will look very Vietnamese in an architectural sense with sweeping arched glulams, or glued laminated timber. The wood is a highly innovative and durable construction material, according to The Engineered Wood Association. Though it’s a material MW Golden uses frequently, there is one main difference with this project. “We have a lot of glulams in our state, [they] are either square or triangular, which is the much easier engineering feat,” Golden said. Abbot Tinh Man, however, is keen on maintaining the arched approach. The Irish company, iameco (read it as I Am Eco), known for manufacturing eco-friendly computers and its accessories recently unveiled a wooden laptop. The new iameco D4R laptopis the first genuine eco-friendly, touchscreen computer built with zero-toxic materials and is configured with high-performing machinery. iameco team collaborated with the industry and academia comprising the Fraunhofer Institute in Berlin, Taiwan’s GAIA in the Basque Country and AUO Optronics and the University of Limerick in Ireland to build the eco-friendly computer. … The iameco laptops are encased in boxes made of natural timber including maple, beech and ash. Further, the company claims that these wooden computers will last three times longer than the traditional setup, counting up to ten years. It added that as the wood gets mature, its appearance will also refine with the age. In the shadow of Mount Seymour filmmakers and technicians and researchers ringed around their star: a massive western red cedar. They rolled sound and stereoscopic video, capturing the striations on each leaf, the strings of bark that have become more rope-like with each passing year… The aim of the Wild Empathy project, explains Emily Carr University associate professor Julie Andreyev, is to depict: “the life of the tree” through a VR prototype. “We really want to tell a story about how these old trees are really critical to the biodiversity of the forests,” she offers. With logging and climate change threatening the future of old-growth forests around the world, Wild Empathy is attempting to engender greater empathy for trees through virtual reality. The Ministry of Forests, Lands, and Natural Resource Operations, and partners in the Forest Industry hosted their annual Forestry Days at Kokanee Creek Park on September 26th. 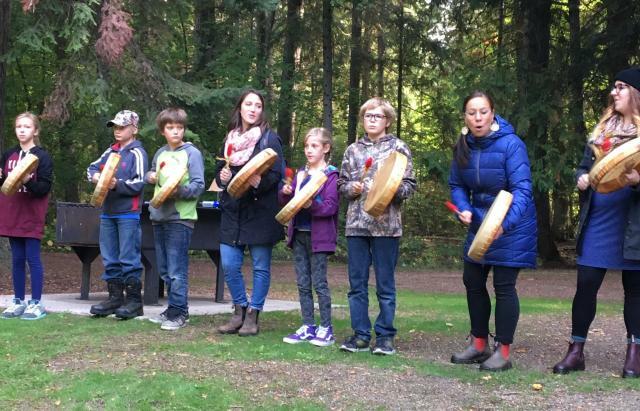 Grade 5 Students from School District 8 – Kootenay Lake, as well as from private schools in the region, were invited to partake in a full day of activities and outdoor forest fun. Organizer Russell Holitzki, RPF Practices Forester, explained that the annual event is meant to encourage greater public awareness of Canada’s forests. “We want to share the values of the forest with the kids in the hope that they learn a few things today, and have some fun too!” said Holitzki. …Approximately 270 students discovered more about Logging, Wood Products & Safety, Aging and Forest Art, Wildfire and Forest Health. There was a free lunch provided by Kalesnikoff Lumber and a Scavenger hunt too. 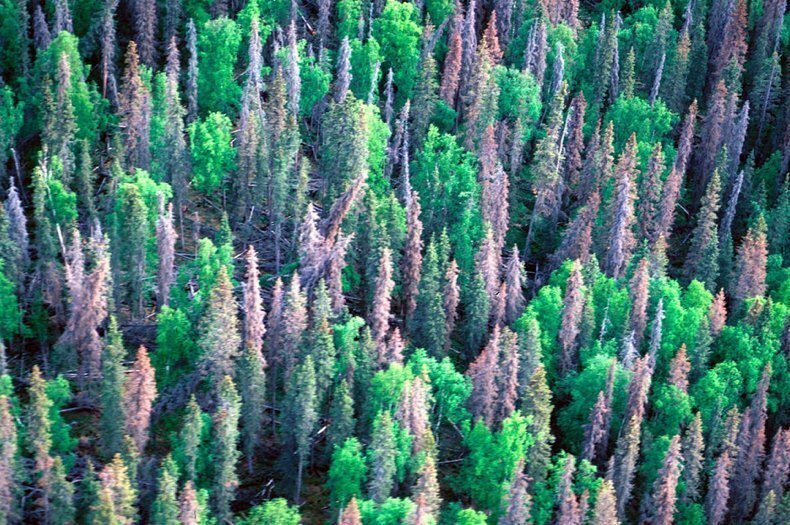 BOZEMAN – As bark beetles continue to devour sickly pine forests, a Montana State University plant physiologist and ecologist wants to better understand how trees are able to defend themselves amidst a warming climate, drought conditions and hungry insects. Amy Trowbridge, assistant professor in the Department of Land Resources and Environmental Sciences in MSU’s College of Agriculture, received a $1 million National Science Foundation grant aimed at investigating the mechanisms of tree death in pinyon pine forests in order to gauge the susceptibility of trees before bark beetle devastation occurs. 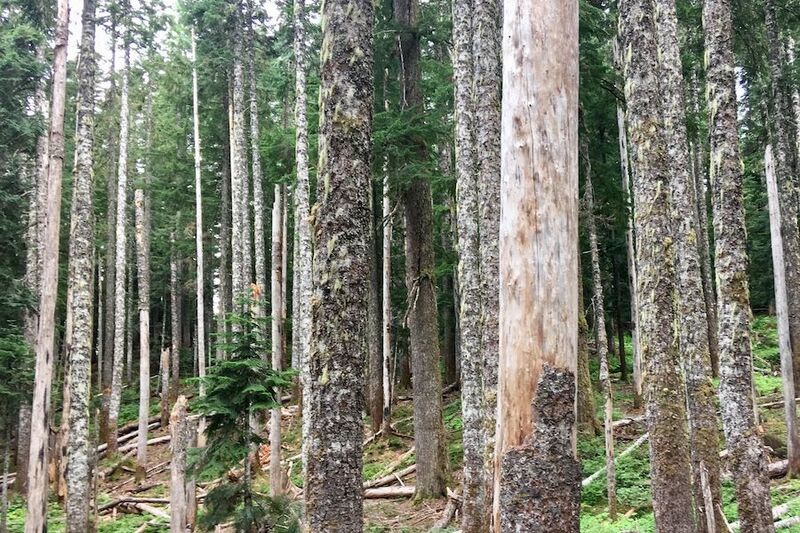 The project has direct implications for better understanding the causes related to pine tree death due to severe drought conditions and bark beetle infestations – and for being able to predict which one comes first, Trowbridge said. U.S. Forest Service crews will conduct controlled burns in the Columbia River Gorge National Scenic Area in Washington this fall and winter to reduce forest fire hazards. The fires will be set in Klickitat County, Wash., east of Bingen, and White Salmon between Courtney Road and Tracy Hill, according to a press release from the U.S. Forest Service. The burns are planned from October to January, as part of an ongoing fire management program to reduce the risk of wildfires. “We’re coming into a weather window, which means temperatures, humidity, and ground moisture are just right for successfully burning while still maintaining control of the fire,” said Roland Rose, a fire fuels planner with the National Scenic Area. More roads may be built on the Tongass National Forest with the creation of a new Alaska-specific version of the national roadless rule. A committee which met for the first time this week will get to have a say in where, when and who gets to build. The Alaska Roadless Rule Citizen Advisory Committee convened this week at Centennial Hall for two days. …The idea is to create a new rule which allows more timber access while conserving the characteristics of Southeast roadless areas. The committee had its first chance to hear from the public on Wednesday afternoon. Many of the more than 20 people who testified were critical of the process. Though sporadic pine beetle outbreaks are a natural part of western U.S. ecosystems, a combination of climate change and drought have made them epidemic. …yet it seems that some trees are genetically predisposed to withstand attack. …As of now, however, people are managing afflicted forests in ways that may prevent their recovery. “Our forests have always been shaped by natural selection, and management largely ignores this,” says Diana Six, a forest entomologist at the University of Montana. …In a study published in Frontiers in Plant Science, Six and colleagues describe their genetic analysis of trees in Vipond Park, a plateau in Montana’s Beaverhead National Forest where pine beetles recently killed 75 percent of mature lodgepole pines and 93 percent of whitebark pines. …The survivors proved to have a common genetic signature. …Yet that resilience is threatened by so-called salvage logging. The Republic of Korea’s Ambassador to Nepal, Park Yong-Sik, called on the Minister of Forest and Environment Shakti Bahadur Basnet with a proposal to financially and technically assist Nepal in the conservation of its forest and environment sector. In a meeting held at the Ministry of Forest and Environment on Tuesday, Basnet claimed that around 45 percent of the country’s total area is covered with forest. 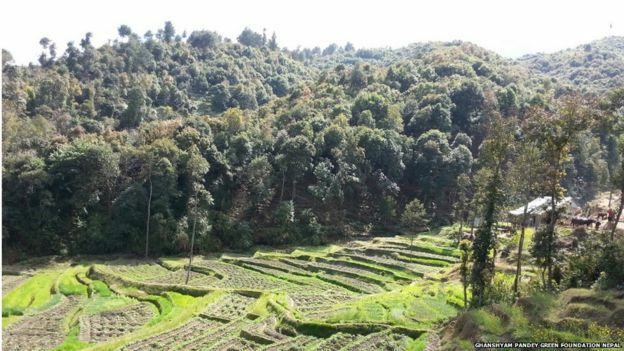 “In recent times, Nepal achieved a notable success in the forest and environmental protection efforts,” Basnet said. “The latest data on the tiger population in Nepal also indicates the progress we have made so far.” Basnet also said that Nepal, which is in its infrastructural development phase, has a policy to maintain a balance between its development works and environment. Today, the New Forests Rwanda (NFR) Company’s Nyungwe Buffer Zone Concession area is certified to the internationally recognized Forest Stewardship Council (FSC) Forest Management certification. This certification shows that NFR is managing the forest assets in a manner that complies with international, national and local laws; maintains community relations and worker’s rights; manages and limits environmental impacts; and generates multiple benefits from the forest assets. On September 26th, 2018, Darren Lapp, the CEO of New Forests Rwandan division shared the news of the FSC certificate during an NFR stakeholders meeting at Onomo Hotel in Kigali. (CNN) – An off-duty Border Patrol agent wanted an explosive gender reveal party for his family and friends, but he ended up igniting a wildfire that spread to Coronado National Forest in Arizona. Dennis Dickey, 37, of Tucson, Arizona, has to pay more than $8 million in restitution, starting with a $100,000 initial payment and monthly payments thereafter, the Department of Justice said in a statement. …The Sawmill Fire burned nearly 47,000 acres owned by the state of Arizona and various federal agencies. The Coronado National Forest is federal land operated by the US Forest Service. Firefighters from at least 20 agencies fought the fire for about a week, the affiliate reported. Dickey immediately reported the fire and admitted to starting it, the Department of Justice said. CNN has reached out to Dickey’s attorney, but has not heard back. Dickey has not revealed the gender of his baby, KGUN reported. Firefighters continue to battle a wildfire that destroyed a 79-year-old camp lodge and devastated thousands of acres of wilderness in a glacially-carved canyon in one of the most popular recreation areas in northeast Nevada. 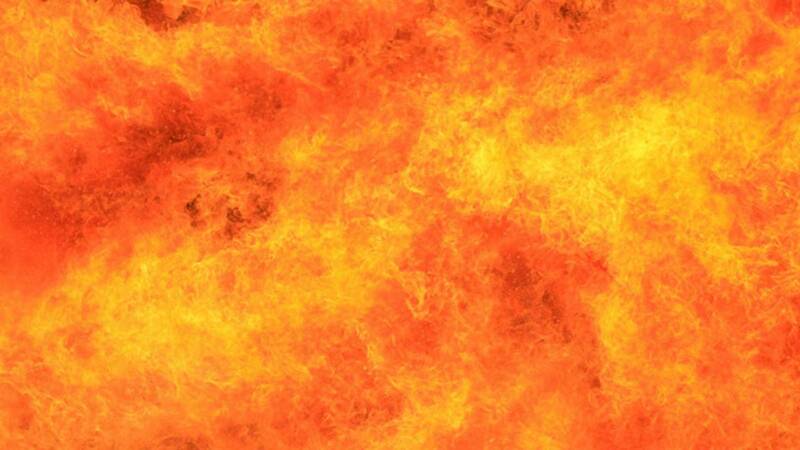 The Range 2 Fire broke out Sunday near a private shooting range in Spring Creek and has burned 9,196 acres. It’s currently 50% contained. Forest Service spokeswoman Erica Hupp says they’ve not confirmed any reports of homes destroyed but several structures have been lost. That includes the Lions Club’s Camp Lamoille, which the Boy Scouts of America first built in 1939. The U.S. Forest Service says the Mountain City, Ruby Mountains, Jarbidge Ranger District and Humboldt-Toiyabe National Forest area is closed until further notice. They said roads and trails are closed as well as picnic areas and campgrounds. The 120-acre Raincloud Tree Farm near Oregon City… demonstrates an innovative type of carbon offset project… if Oregon passes a cap and trade program. “Up until now there hasn’t been much or any engagement with that demographic in the carbon market,” says Brian Kittler, director of the western regional office at the Pinchot Institute for Conservation and a member of the natural and working lands workgroup in the governor’s Carbon Policy Office. The institute helped Raincloud’s owners use new data collection technology developed by University of California, Berkeley scientists to make their offset project affordable. ..One sector, forestry, has yet to jump on board. The timber industry and forest landowners have little reason, aside from politics, to oppose cap and trade. Their emissions wouldn’t fall under the cap. Yet forestry has remained largely silent on the policy. …Anthropogenic climate change constitutes one such historical crisis. The UN-REDD Programme, a joint undertaking of FAO, UNDP and UN Environment to fight deforestation and forest degradation, was developed to advance the United Nations Framework Convention on Climate Change and to foster innovative and collaborative approaches to address the existential challenge of climate change. …Awareness of the need for forest action has never been greater, nor has the ability to deliver transformative change. We are seeing positive momentum and opportunity to take action on forests worldwide – driven by governments, civil-society organizations and businesses. We need to continue reforming policies and building partnerships if we are to vastly increase investments in forest conservation, restoration and sustainable use. The UN-REDD Programme is a proven model for the joint creative action we need in order to overcome the climate crisis. Now it is time to scale it up. A Ministry of Labour investigation is ongoing after a worker at Kenora Forest Products was severely injured on Sept. 20. A ministry spokesperson said the worker was hurt when he was caught in a conveyor belt at the sawmill. The day after the accident, a MOL inspector attended the workplace and issued two orders to the mill owner, Prendiville Industries, with respect to guarding a specific part of a machine, along with a stop-work order until the first order was carried out. Janet Deline said the company has complied with both. On a Gofundme page set up by co-workers and friends, the injured worker was identified as Joseph Dalcin.